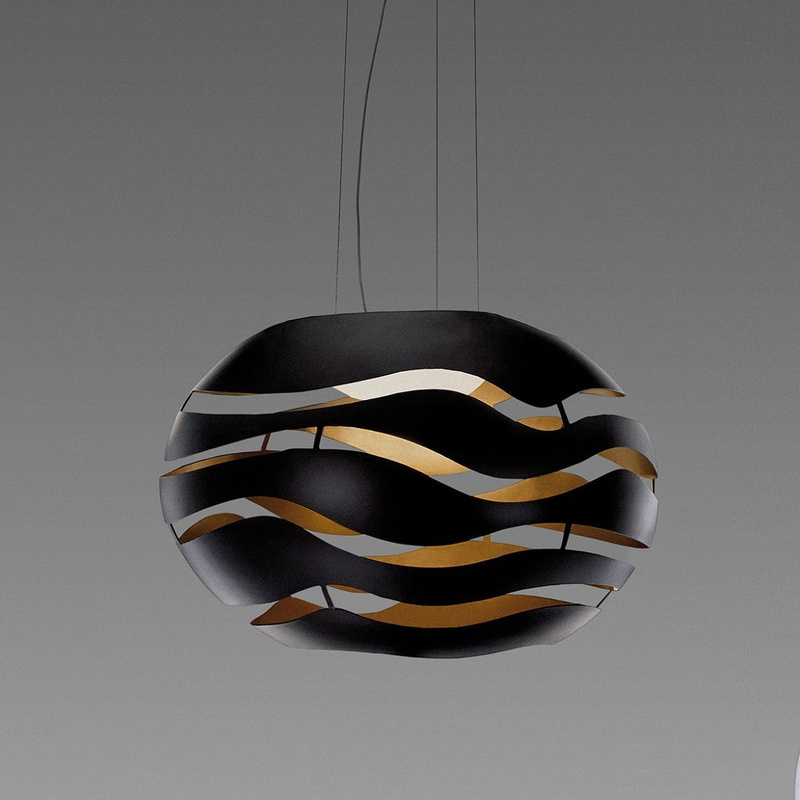 The Tree Series S35 Halo chandelier: the perfect example of B.Lux’s style! The Tree Series S35 Halo chandelier is one of numerous design lamps created by B.Lux, a Basque brand that has a really appealing sense of design and that creates beautiful lighting fixtures of great decorative value. 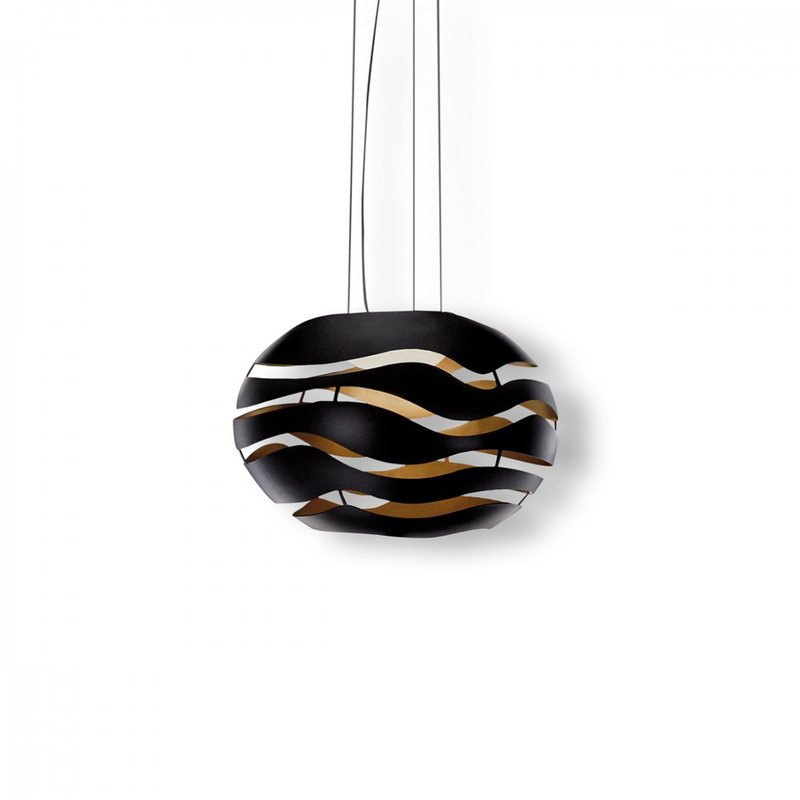 This object is a suspended lamp, a type of lamp which is always highly appreciated for its great aesthetic impact, and offers an original aluminium lampshade. The lampshade is the main protagonist of this creation: different aluminium elements, which are joined to each other, create a sort of round shape, which features a series of very striking ‘squares’. 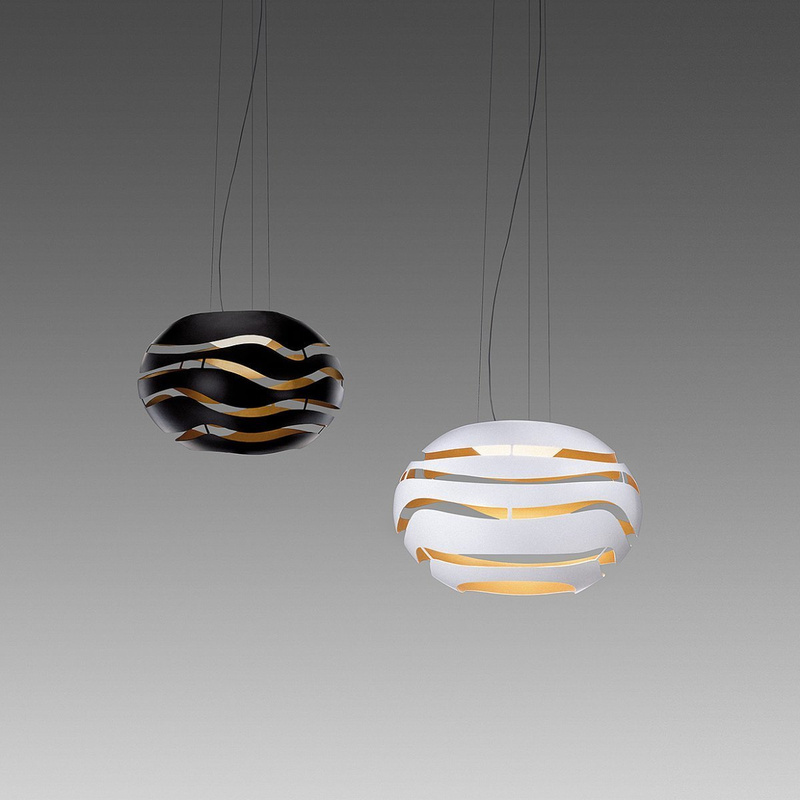 This particular feature that distinguishes this B.Lux lamp is intriguing not only from the design point of view but also because it allows the lamp to create a truly unique effect mixing direct and reflected light. Even at a chromatic level, this B.Lux creation does not go unnoticed: the dark colour of the lampshade, in fact, is matched to an intense gold colour on the inside, imbuing it with elegance. Extremely versatile, a lamp like this can be installed in the most diverse contexts: the Tree Series S35 Halo chandelier is perfect for contemporary or even minimalist environments yet its sobriety makes it impeccable even in more formal and classic contexts. 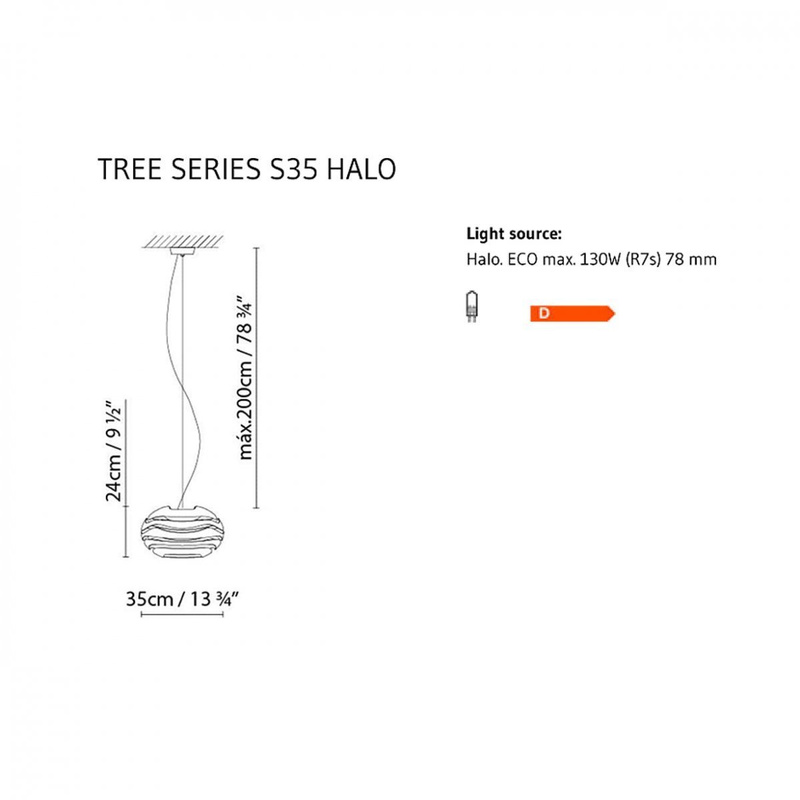 A perfect example of the style of B.Lux, the Tree Series S35 Halo chandelier is perfect even installed in a series of two or more, especially when it comes to large environments, and it is without a doubt a great idea for a gift in the most diverse occasions. Information: Light bulb not included (Recommended: Halo, ECO max. 130W R7s 78mm, 230V). CE, EAC, CUL certified. The lamp is dimmable. Cable length: 200 cm. 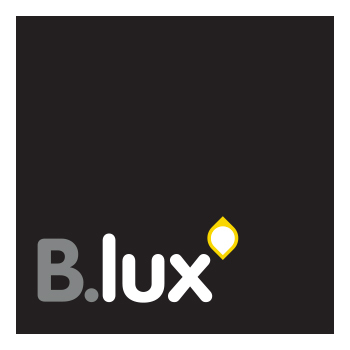 B.lux is a brand born in the Basque Country in 1980. 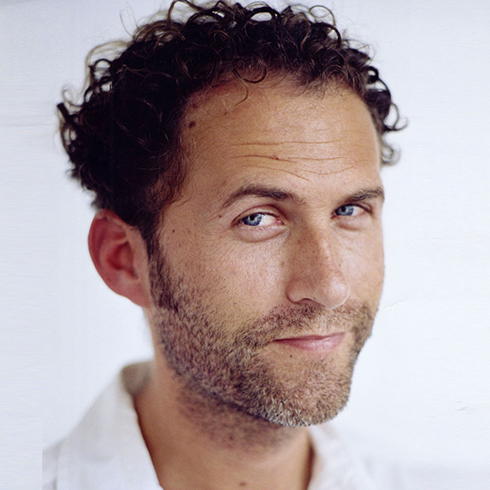 Since the first times, working with Guillermo Capdevila, B.lux has aimed at international horizons. Influenced by the turmoil in the nearby Bilbao, B.lux continued to work with several designers to create lamps able to tell a new story from time to time.